Also serving communities of Lake Wales. There are 11 Memory Care Facilities in the Winter Haven area, with 3 in Winter Haven and 8 nearby. The average cost of memory care in Winter Haven is $3,523 per month. This is lower than the national median of $4,650. To help you with your search, browse the 22 reviews below for memory care facilities in Winter Haven. On average, consumers rate memory care in Winter Haven 4.3 out of 5 stars. Better rated regions include Windermere with an average rating of 5.0 out of 5 stars. Caring.com has helped thousands of families find high-quality senior care. To speak with one of our Family Advisors about memory care options and costs in Winter Haven, call (855) 863-8283. The balmy weather and sunshine make Winterhaven, and most of Florida, a popular retirement destination, leading to a high volume of seniors residents. The large population of folks 65 and over contributes to the 540,000 people in Florida living with memory-related diseases like Alzheimer’s and dementia. In Winter Haven 24.6 percent of the city's 41,280 residents are seniors, and a portion of them are in need of memory care services. There are over 36 assisted living facilities in the area that adhere to Florida’s dementia care regulations, including 24-hour support and staff who are required to receive four hours of continuing education annually. The air quality in Winter Haven received excellent ratings from the American Lung Association. With a particle pollution score of A and a B ozone score, seniors with respiratory conditions can enjoy taking in fresh air without potential health risks from pollution. Folks looking to save a few bucks may be able to do so in Winter Haven, Florida. This state’s 6.8 percent state tax rate is balanced by a low property tax rate of 0.9 percent and no income tax. Social security income is also tax exempt leaving wiggle room for buying everyday needs. In addition to saving money on taxes, residents of Winter Haven enjoy a cost of living that is lower than the Florida average by about 17 percent. Winter Haven also falls 6 percent below the national average, meaning seniors in this area might be able to afford better quality care. Families of seniors living in Winter Haven should know that there are potential safety risks in this neighborhood. Both violent crime and property crime are nearly double the national averages. Violent crime is at a rate of 61.8 out of 100 compared to the national average of 31.1 (one being ideal). Property crime stands at 63.4 versus the national average of 38.1. Memory Care costs in Winter Haven start around $3,523 per month on average, while the nationwide average cost of memory care is $4,800 per month. It’s important to note that memory care rates in Winter Haven and the surrounding suburbs can vary widely based on factors such as location, the level of care needed, apartment size and the types of amenities offered at each community. Winter Haven and the surrounding area are home to numerous government agencies and non-profit organizations offering help for seniors searching for or currently residing in an assisted living community. These organizations can also provide assistance in a number of other eldercare services such as geriatric care management, elder law advice, estate planning, finding home care and health and wellness programs. To see a list of free memory care resources in Winter Haven, please visit our Assisted Living in Florida page. 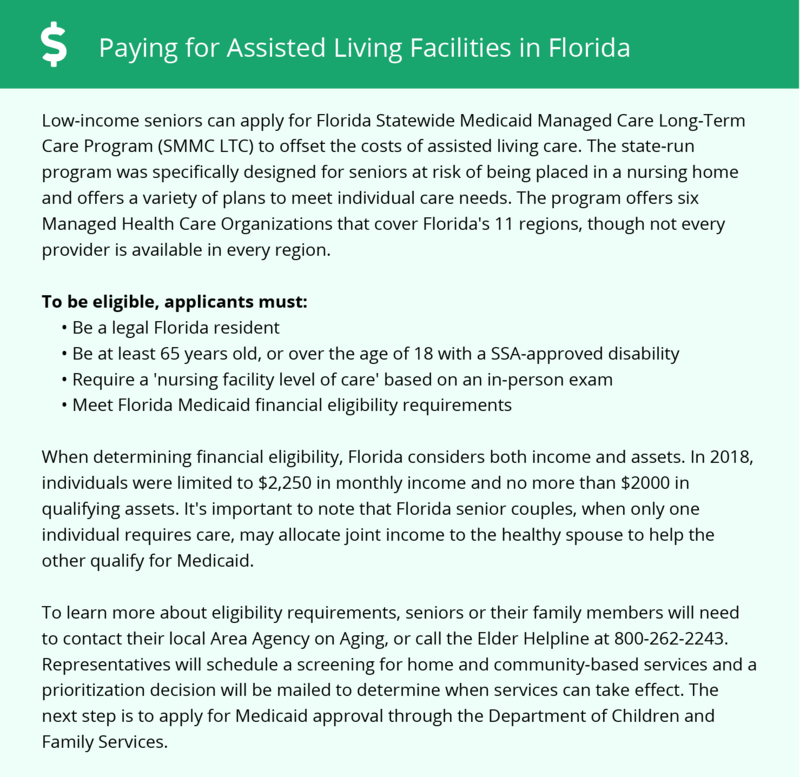 Winter Haven-area assisted living communities must adhere to the comprehensive set of state laws and regulations that all assisted living communities in Florida are required to follow. Visit our Memory Care in Florida page for more information about these laws.